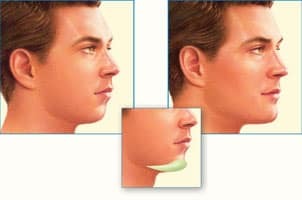 Chin implants: When the projection and size of the chin does not project in proportion with the mid-face and forehead, chin implant is used to correct the issue. Basically, chin implants are used to correct the inappropriate appearance of the chin. Cheek implants: It will look awkward if the cheekbones projects abnormally. Cheek implants are usually used to increase the projection of the cheekbones and to add volume to the recessed or flat areas of the chin. Jaw implants: Jaw implants are used to increase the width of the lower third of the face. Facial implants can be caused by both chin and jaw issues. As usual, the first step of the procedure is anesthesia. The surgeon may use general anesthesia or sedation. The next procedure is the incision making. It may differ for chin, jaw and to the cheek. The incision may be made inside the mouth fro the chin implant. Sometimes, the incision will be made just beneath the chin as an alternative. Jaw implants are usually placed through the mouth, making incisions inside the mouth further back along the jawline, at the fold where the inside of the cheek and gums meet. Where the implant should be positioned in the cheek bone will be decided based on the specific area to be restructured. Most often, incisions are made in the mouth, through which the implants are placed. After placing the implants thorough the incisions, the incision will be closed with absorbable stitches or sutures. The stitches can be removed within one to two weeks after the surgery. Good results are not always guaranteed for facial implant surgeries. Swelling may be visible for several months after the surgery. The final result of the surgery will be noticeable immediately after the surgery. But, this will be hidden by the swelling. Facial implants can give a long-lasting result. But, during the healing stage, you might have to face localized swelling, numbness or discomfort and discoloration. Your facial movement may be impaired or restricted temporarily after the surgery.